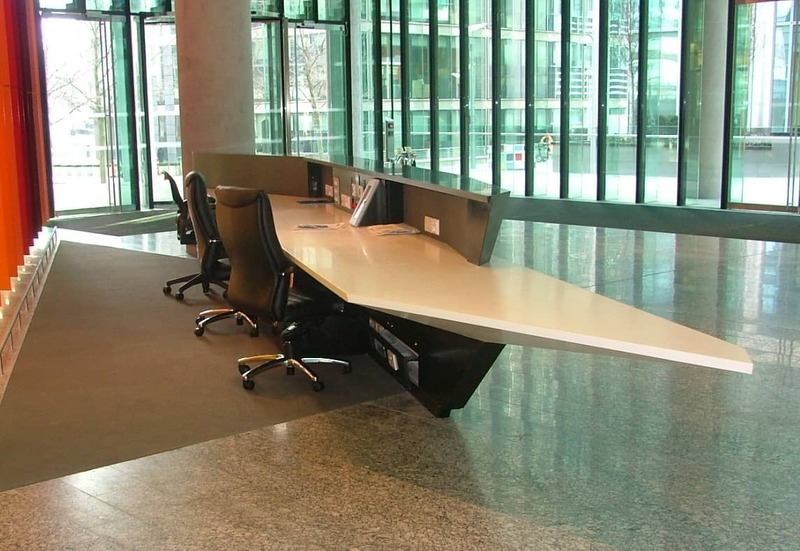 How long do Solid Surface items take to install? When on site, we endeavour to cause as little disruption as possible. The time we take installing depends entirely on what we are fitting and the site conditions we encounter, there is no “rule of thumb” as everything we manufacture is bespoke and made to clients’ requirements. 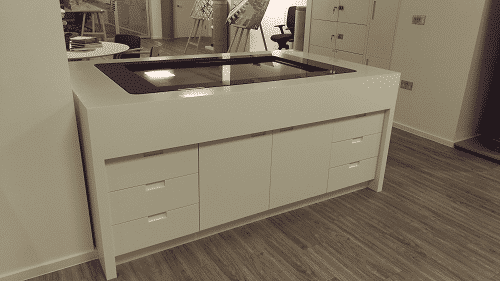 We try to minimise the time it takes to install when on site, by preparing the counter tops in our factory and will always endeavour to cause as little disruption as possible. Is Solid Surface suitable for doors and walling? Yes, of course! It can be used, within reason, for whatever the client would like. 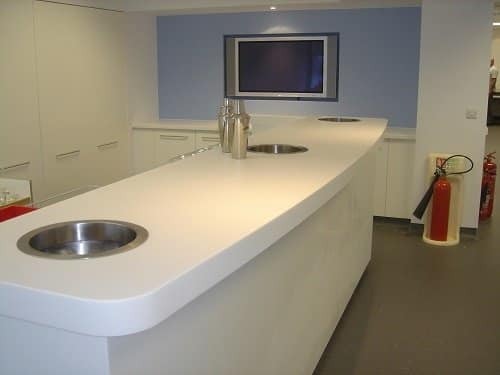 We have manufactured and installed walling for various areas, including feature walls, showers and kitchens, as well as fabricating doors to match counter tops. The answer is no, it cannot. The material is entirely non-porous liquids are not absorbed and can be wiped away. The material is 12mm thick, bonded to a moisture resistant substrate, made up to the required thickness, making it totally impervious to liquids.